Mark Sykes looks set to move to Oxford United. 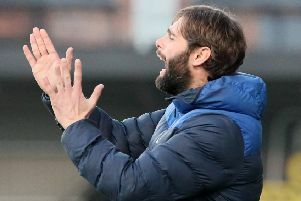 The Northern Ireland U21 international, who's last game for the Lurgan Blues came in Saturday's 3-3 draw with Institute, is too hold talks with Karl Robinson's side. 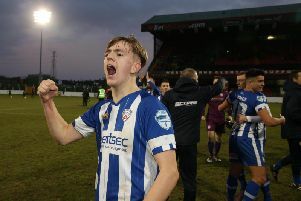 Glenavon confirmed the news on the club's website stating they were "delighted to announce that Glenavon FC and Oxford United have agreed terms for the transfer of Mark Sykes. "The Clubs reached an agreement after discussions yesterday, which includes an improved offer over the previous Port Vale package and includes add-ons for appearances and future International caps. "The deal is subject to Mark agreeing personal terms and passing a medical, which should see him join his former NI Under 21 teammate Gavin Whyte at the League 1 club."